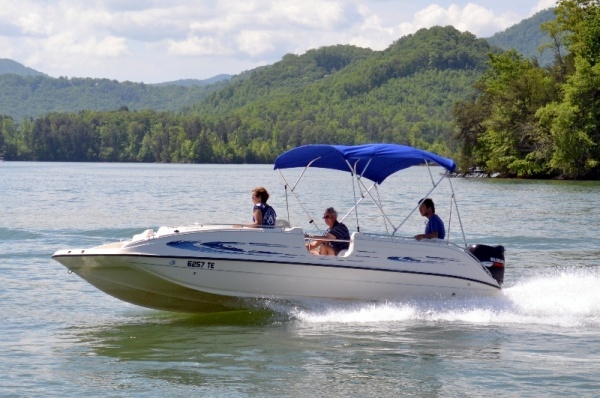 Boundary Waters Resort & Marina proudly features a wide variety of deluxe boat rentals on beautiful Lake Chatuge in Hiawassee, GA. Whether you’re planning an afternoon of fun in the sun or an exciting family vacation, we have the watercraft and friendly staff to meet your needs. 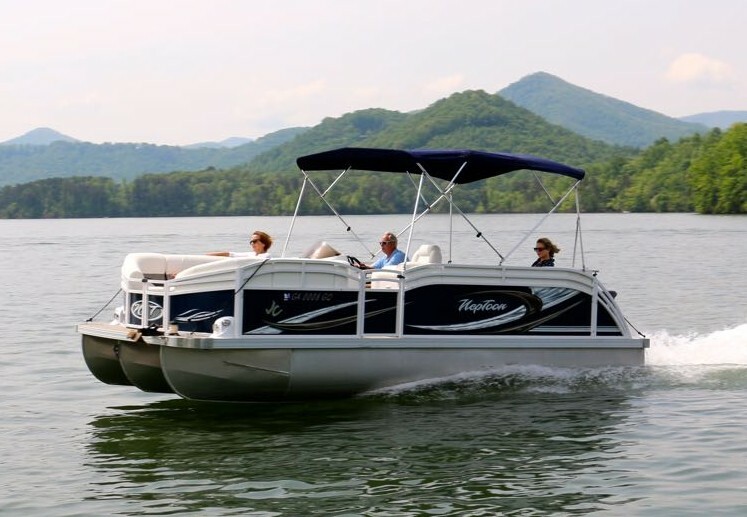 If you’re looking for a comfortable cruise on the lake, look no further than our Pontoon boat rentals or Sport Pontoon, featuring JC TriToons with Suzuki engines. 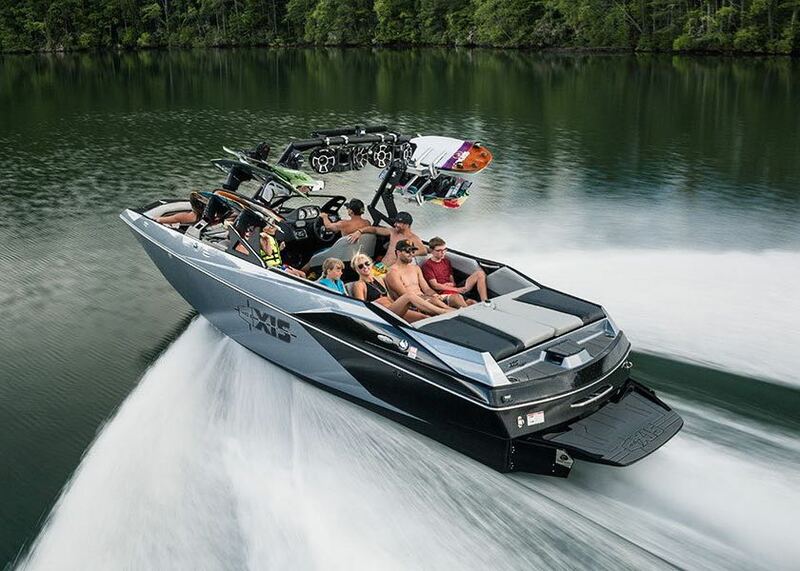 For a little more speed and excitement, our Ski Boat, Deck Boat, or Axis Wakeboard Boat rentals are perfect for a day of watersports. 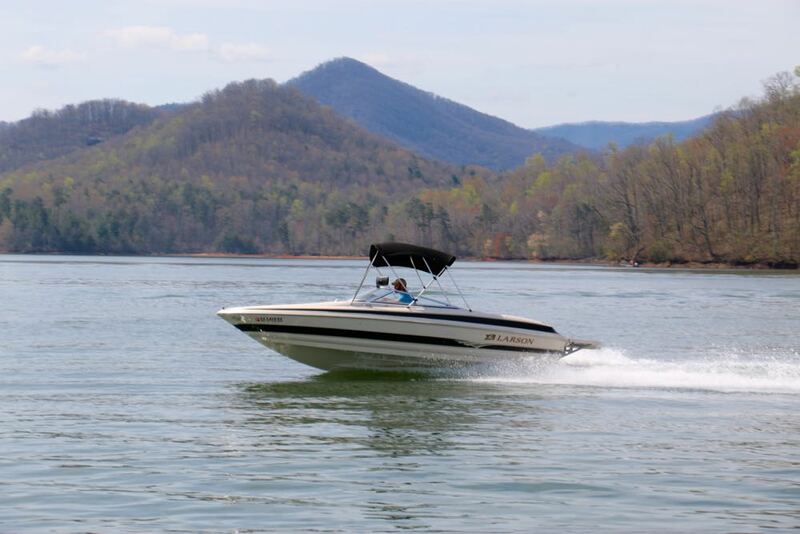 Browse our selection of boats, and if you need any assistance planning your adventure in the North Georgia Mountains, feel free to Contact Us. Attention! Georgia Boater Safety Law requires that anyone operating a rental boat must watch this 10 minute video prior to their rental. Save time on your rental day and have all drivers watch it ahead of time! 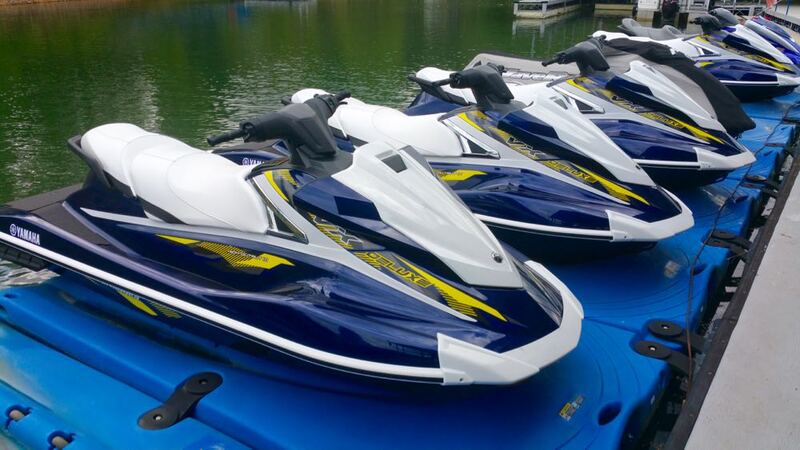 We have a great selection of high quality watersports equipment available for rental with your boat. Our friendly dockhand staff can also provide instruction and guidance. 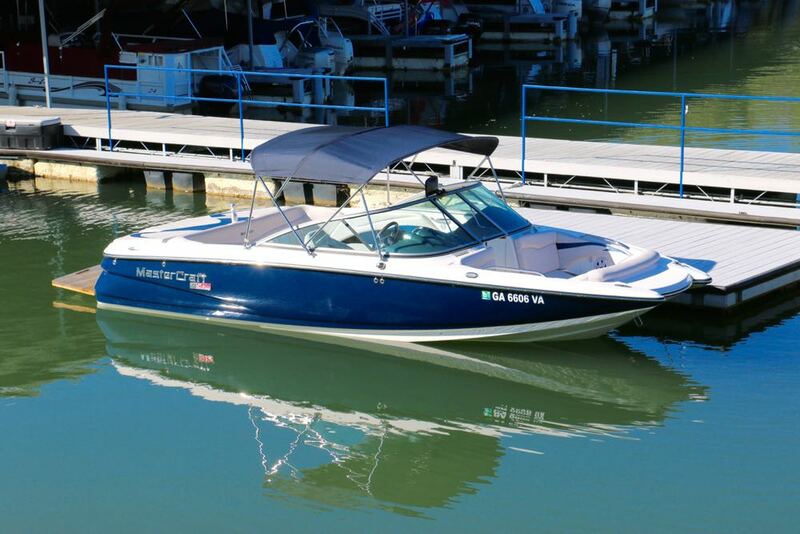 Any of our toys can be used with the Ski, Deck, & Wakeboard Boats. 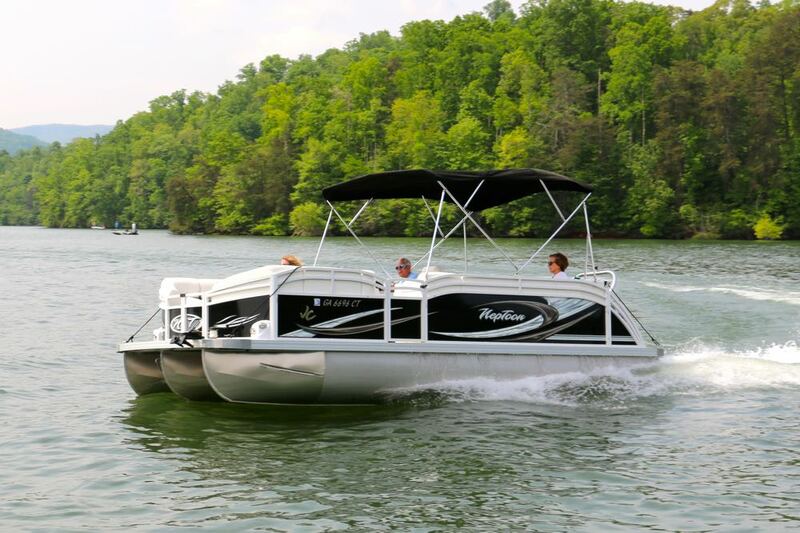 Our Sport Pontoon is only available with the Double Tube. 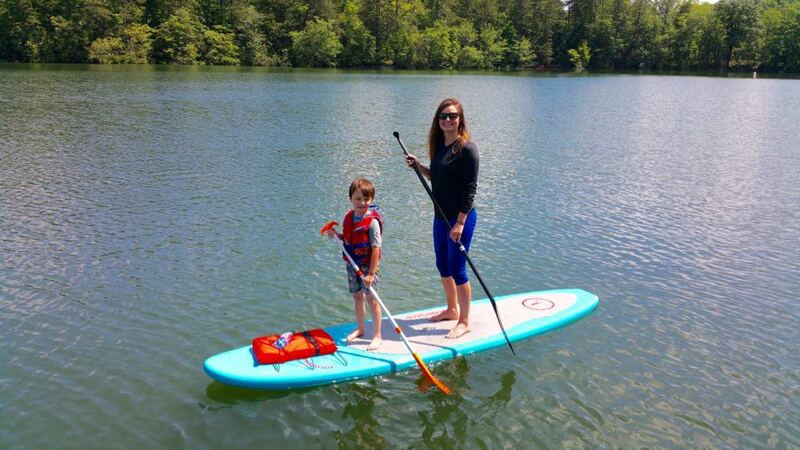 We offer watersports gear rentals if you need equipment for a day or a week! Planning a family trip, reunion, or company retreat? We provide discounted pricing on multi-day and weekly boat rentals. You'll also get significantly more time for your money with freedom to use the boat early in the morning and late in the evening until dusk. Let us know your dock location, and we will help you plan your trip. If you're not staying at a house with a dock, you can keep the boat at Boundary Waters and come and go as you please. Multi-day boat rentals start at 9:00 AM the first day, and end at 5:00 PM the last day. The multi-day rate applies to two or more 8-hour days. Planning to rent again? Take advantage of our frequent renter program! 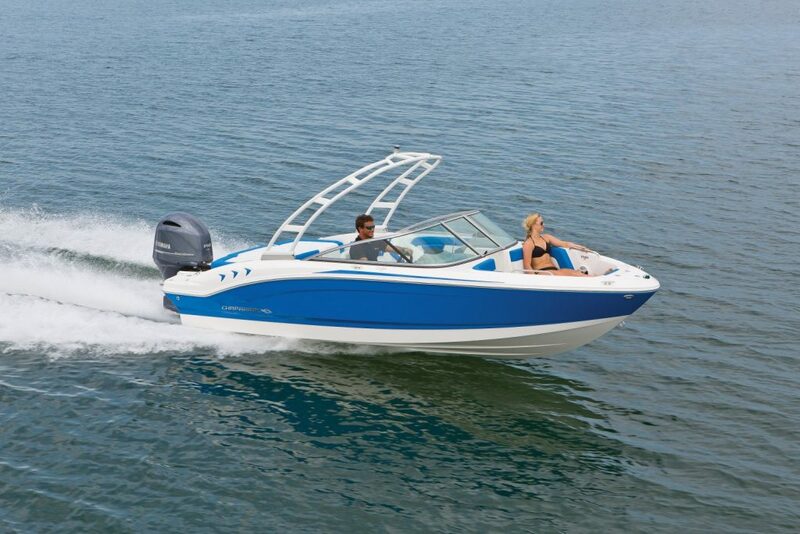 Rent 5 power boat rentals in one season and get your 6th rental free! **Free rental must be of equal or lesser value than first 5 rentals and be redeemed in the same season. Your free rental cannot be redeemed during holiday periods. The value of your free rental cannot exceed one 8-hour rental. Excludes the cost of fuel consumed. Please call us at 706-896-2530 with any questions. A major credit card is required for all reservations. 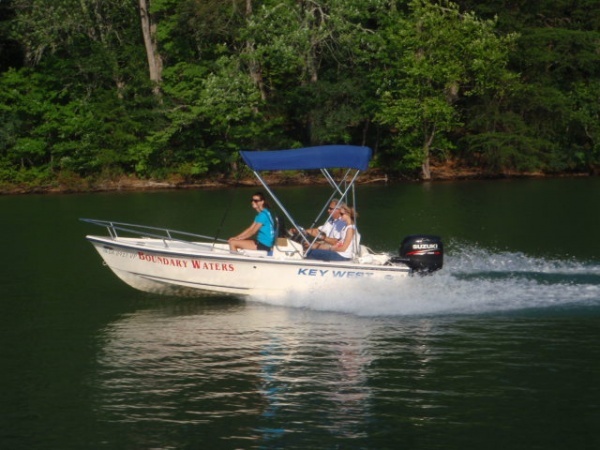 Drivers must be at least 21 with a valid driver's license to operate watercraft. All drivers and passengers must be present at Boundary Waters to sign a liability waiver prior to the rental. No pets or grills are permitted on our watercraft. Power boats are rented with full gas tanks, and renters pay for fuel consumed. All boats are equipped with life jackets and safety equipment. 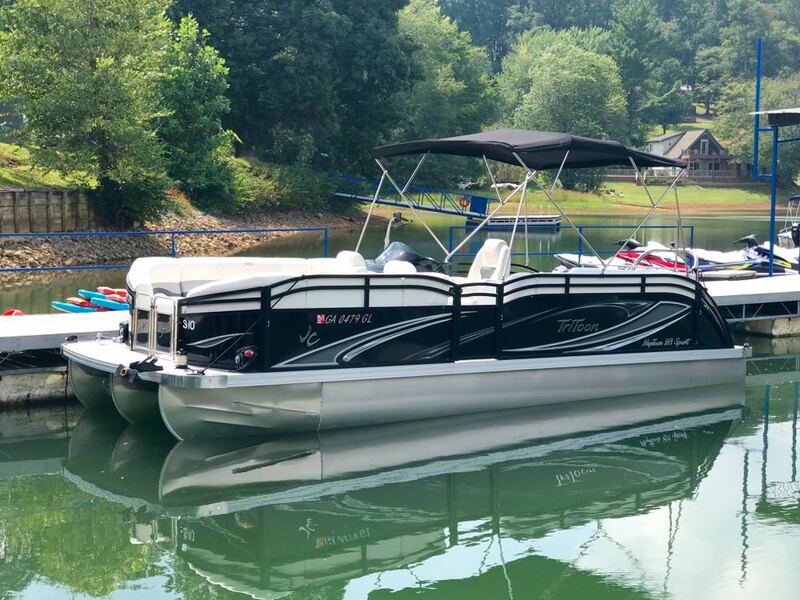 If you cancel less than 24 hours before the rental you are responsible for a $100 cancellation fee, and you will receive a $100 boat rental certificate to use for any future rental. Multi-day and weekly rentals pay the full rental amount at the time of reservation when the dock location is approved. Cancellations 8 or more days prior to your reservation will be refunded the full rental amount. Cancellations 7 days or less before the rental starts will be issued a gift certificate that never expires for the full rental amount. At the start of your rental, multi-day and weekly reservations also pay a $500 damage deposit. If the boat is returned without damage, the damage deposit will be refunded.